Not all personal humidifiers are created equally, and the Objecto H3 Hybrid Humidifier reveals its differences upon first glance. The shape, the sheen, and colors all help set it apart from other humidifiers like it. Look closer at its feature set and you'll find more reasons why people who've bought this humidifier love it. From its design to its ability to act as a diffuser, it earns its higher price tag. It does have a few issues, though. If you can live with its downsides, or look past them, this could become your next favorite humidifier for your bedroom, office, or other small room in your home. 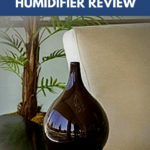 Read through this review of the Objecto H3 humidifier to find out exactly what you should expect, why Objecto designs its humidifiers in a water droplet shape, and what others think about this stylish, unique humidifier. Take a quick look at all of Objecto’s products and you’ll notice one obvious thing they have in common: design. Every product features organic, sweeping lines and shapes. They’re made to fit in with any décor, but also stand out in a way that could make it a topic of conversation. In addition to looking beautiful, Objecto’s pieces are also highly functional. The marriage of function and form makes sense from a company that’s based in New York’s flatiron district. From the moment you pull this shapely humidifier from its box, you’re likely to appreciate its design. The bulbous bottom has a thin, clean platform that allows the product itself to shine. And shine it does! The gloss finish adds to its beauty. The round foundation comes to a soft point at the top, creating the shape of a droplet of water that’s falling to a surface. Fitting, you might think, as this is a humidifier, and its goal is to add moisture back into your air. You also get four color options with this style humidifier. The white is the most common, and the most affordable, but you can also pick brown, pink, or purple. When you start to explore your new Objecto H3, you’ll likely happen upon a small drawer. Pull it out and you’ll find a pad where you can add a few drops of your favorite essential oil. Fill up the tank with water and then set it to humidify. As it expels water vapor, you’ll pick up on your favorite scent, too. Not all humidifiers have this diffuser option, which makes this well worth the extra cost. You can set a timer for two or four hours, so your humidifier doesn’t run all night while you sleep. There’s little danger in doing so, as this humidifier also has an automatic shutoff when it runs out of water, but there are valid reasons for preferring a timer to the auto shutoff option. One, having too much humidity in your home can actually damage your furniture. Water damage is a danger for wood. Additionally, too much humidity can create a hotbed for mold growth and dust mites, a big no-no for allergy sufferers. And then there’s the issue with the humidifier itself. When the machine runs out of water, the H3 will signify this by sounding an alarm. Sure, the alarm is nothing more than a beeping sound, but do you want to be awakened in the middle of the night by that beep? Likely not. All the more reason to use the timer function. There are three “speed” settings for this humidifier. 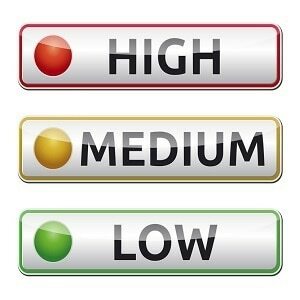 Choose low, medium, or high to get the amount of humidity you prefer. At the lowest setting, this humidifier can run for up to 18 hours without needing a refill. A higher setting will go through the tank of water much faster, obviously. The two-liter tank is big enough that you likely won’t need to refill it more than once per day, unless you’re running it on high 24/7. One of the things you might not notice is how quiet it is, unless you’ve owned a louder humidifier in the past. It puts out a low buzzing sound, and occasionally pauses. If anything, that might be something you pick up on, but it shouldn’t be much of an issue. It’s a common sound, by the way, for ultrasonic cool mist humidifiers. There’s no fan built into this unit, so it shouldn’t be loud at all. Like other humidifiers, this one is going to need regular cleanings. The best way of doing this is to add vinegar to the tank and let it sit for an extended period. You can also use hydrogen peroxide. Either way, the idea is to clean it weekly, at least, to kill any bacteria or mineral buildup. Unfortunately, this humidifier is a bit difficult to clean some of the parts because of the design. You can expect this humidifier to be effective in small to medium rooms, but anything larger than 350 square feet will be ineffective. To get humidity throughout your house, you’d have to buy one of these for each room, or consider a whole house humidifier. Let’s go over all the features of the Objecto H3 humidifier, and how they’ll benefit you and your home. Some features are more obvious than others, and some don’t seem like features, but could be for you. One of the big perks to this humidifier is that it’s also a diffuser. Rather than add drops of essential oils to the water, there’s a small chamber where you can add the oils to a felt pad. The aroma will spread throughout your room over time while the humidifier is operating. There’s no need to worry about voiding a warranty or anything by adding oil to a tank and possibly doing damage to the material. The timer lets you choose how long the humidifier should run: two or four hours. The benefits here are that you can decide how much humidity is enough, and you can prevent the beeping alarm that sounds when the tank runs out of water. Many humidifiers are eyesores in a room. They often look clinical or medicinal, but that’s not the case with this one from Objecto. The raindrop style makes it look like sculpture, which is a nice addition to any room with any décor. There are two sizes to talk about here. The size of the unit is small to medium – it’ll easily fit on a side table or nightstand. The tank size is two liters, which is larger than most personal humidifiers, but smaller than the large-room ones. So, you won’t be filling it up as often as the tiny ones, and you won’t have to worry about stagnant water like the larger ones. It might seem like the lack of a filter would be a bad thing, but in this case it’s good. You won’t have to worry about cleaning a filter or replacing it. It’s one less thing for you to worry about. If you let this humidifier run without the timer set, it’ll go and go until it runs out of water completely. The good news is that the unit will shut itself off in that case. Auto shutoff prevents damage to the unit or anything around it. You can choose low, medium, or high on this humidifier, which controls the amount of cool mist that shoots out of the top of it. The benefit here is that you get to choose how long the humidifier runs based on its output. Choose a lower setting, and it can run for up to 18 hours. A higher setting means a shorter runtime. It’s always helpful to know what others think about a product, and customers who’ve purchased the Objecto H3 Hybrid Humidifier and Diffuser had a lot to say about it. Most of it is good, but you’ll get to see the bad, too, so you can make an informed decision. Most people who have bought the Objecto H3 love that it’s a humidifier and diffuser in one. 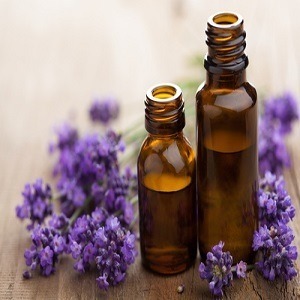 Not everyone realized immediately that there’s a specific place to add drops of essential oil and seem annoyed that you shouldn’t add oil to the water tank. Very few people mentioned that the diffuser part didn’t work. For the most part, consumers who bought the Objecto H3 were satisfied with the amount of humidity the unit puts out. A few others were not as pleased, saying they were still waking with a stuffy nose. A defective unit is possible in those cases. Overwhelmingly, customers who bought this humidifier love its design, at least aesthetically. Some mentioned that the design made it difficult to clean the unit, but that’s another topic. So, speaking of cleaning the unit, not everyone had good luck with that. It seems easy enough – just add vinegar and wait. But many said that it’s difficult to clean all parts of this humidifier effectively. Although 18 hours sounds like a long runtime, it doesn’t seem as those the Objecto H3 actually runs for that long. On low, it may not be effective enough for some larger rooms. On medium, it seems most people got eight to nine hours of vapor. And on high, you may as well use the timer to avoid the beeping alarm – more on that in a moment. There were hardly any complaints about noise, which makes sense because this is an ultrasonic cool mist humidifier. The only sound coming from it is a low buzz, which is the vibrating plate that creates water vapor. However, a few people weren’t fond of the buzz, pause, buzz. As helpful as it is to have an automatic shutoff when the tank runs dry, it can also be an annoyance. When the Objecto H3 depletes its water supply, a beeping alarm sounds, which can be quite noticeable if you’re asleep and woken by it. For some reason, Objecto added the controls at the bottom of the unit, which makes little sense, except for design purposes. This frustrated some people – especially those who prefer to keep their humidifier on the floor. Most people had nothing to say about the one-year warranty because they didn’t need to use it. There did seem to be some people who had issues with the base of the Objecto H3 breaking early on, but didn’t say anything about returning it for a repair or replacement. The Objecto H3 Hybrid Ultrasonic Humidifier and Diffuser offers you multifunctionality and art in one piece. You can fill up one room in your house with humidity with this unit, and you can add a lovely scent with the optional aromatherapy tray. Choose your favorite scent to relax or energize you, add it to the felt pad in the small tray, and then fill the tank with distilled water. Your humidifier should run for up to 18 hours, if you choose the low setting. If you have a larger room, then you might want to go with the medium or high setting. Keep in mind that it’ll run for a shorter period, though. A timer lets you decide how long you want the humidifier to run, and the automatic shutoff feature ensures it doesn’t continue running when the tank runs dry. 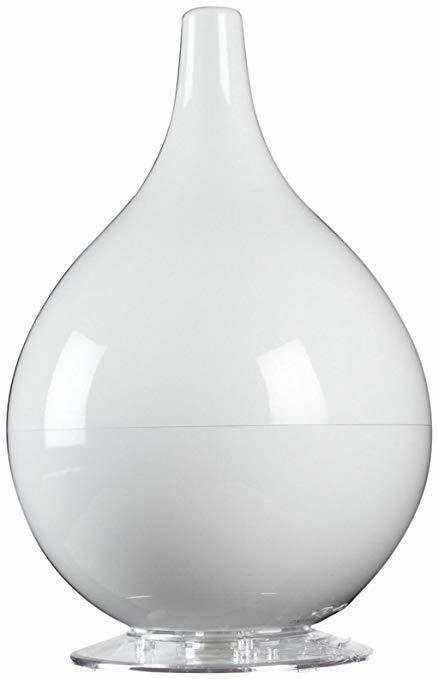 This beautiful raindrop humidifier looks great in any room, and it doesn’t put off a lot of noise while running. You may find it difficult to clean, or that it doesn’t produce enough humidity for your liking. For those who want just a bit of extra moisture in the air and want to add a humidifier that looks like a piece of sculpture, this could be a great addition to their home. 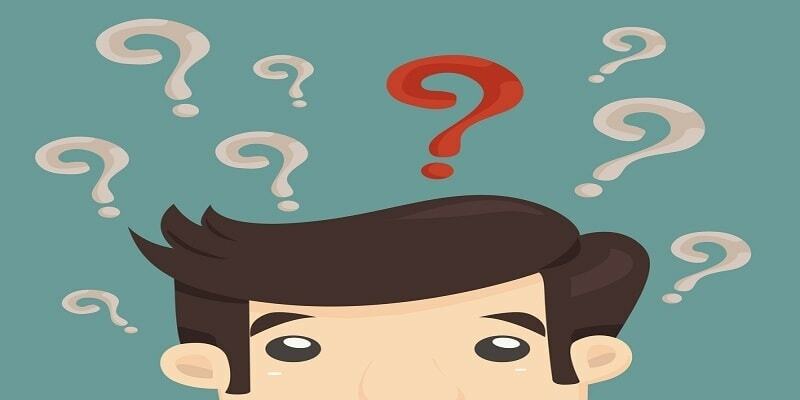 Diffuser VS Humidifier: What is the Difference?